Metropolis Marketplace in downtown Woodburn has made a name for itself as an attraction for all ages, and the owners are hoping a new program continues that trend. First Fridays at Metropolis started in February, with live bands being invited to entertain guests. Some local vendors also join the permanent businesses inside the former Association Building at 347 N. Front St., allowing for people to peruse crafts booths, play pool or arcade games, eat, and drink while listening to local musical artists. Live musicians will perform from 5:30 to 8 p.m. The April 6 event will feature three local bands: Inevitable, Emily Lambert and Dudley. Metropolis has gotten involved with the community in other ways too, with a toy giveaway around Christmas, trick-or-treating for Halloween and a couple craft bazaars. Co-owner Robby Truong also noted that it will be involved with the city-sponsored event Taste of Woodburn in early June, thanks to its proximity to the Downtown Plaza. 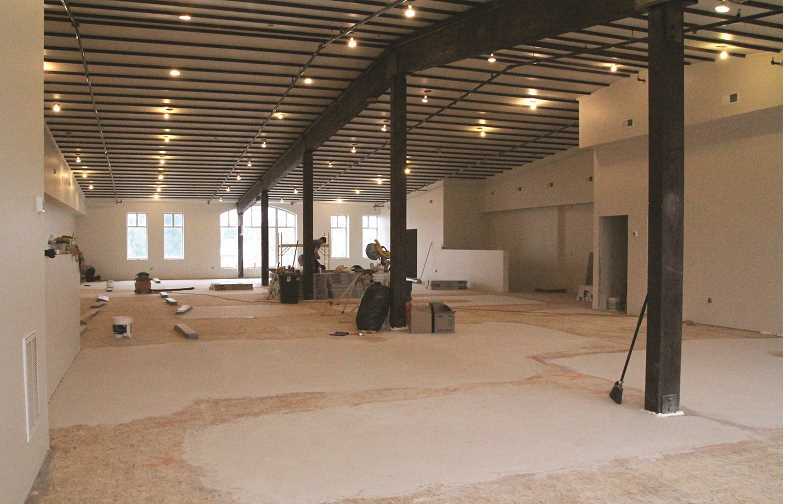 More exciting news is around the corner for Metropolis: Its upstairs event center is expected to be completed by the end of April. The 5,000-square-foot multipurpose room, which measures approximately 100 feet by 50 feet, already has interest from people wanting to hold exercise classes, quinceañeras and more. It could also be used for conferences and weddings, with a small warming kitchen and dressing rooms off to the side and an elevator to make it ADA compliant. "The purpose of this place is to bring people together," Truong said. "It's a place where everybody can come and do what they want." He said it's been a success so far, as the venue has served as a place for friends to meet, for businesspeople to conduct one-on-one meetings and for college students to connect to the free wifi and work on homework. "Parking is a challenge but if people are motivated enough, they will park and walk a couple blocks," Truong said. "We get a steady stream of people in here every day."